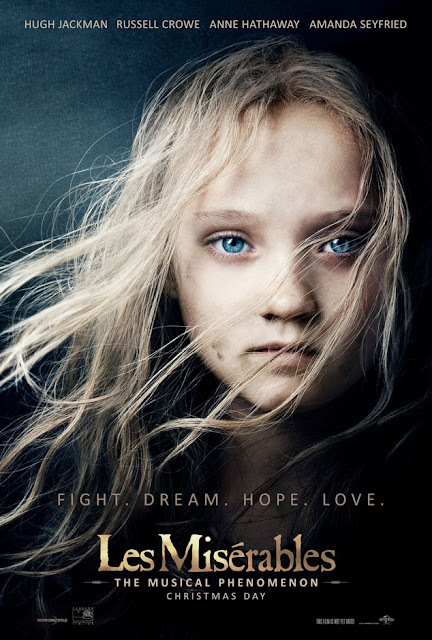 To start this, I will tell you how I came across with Les Miserables. I remember there was a play in our school about this and my mind is afloat since I did not understand the story and I had no idea what they were singing. At a young age, it was expected that I cannot just gobble up the idea and immediately understand it. Fast forward to my last year in high school, my brilliant English teacher introduced this classic literature by Victor Hugo in our class. Then and there was I enlightened and introduced to a very heartfelt story of Jean Valjean; of love and friendship; of sacrifices and suffering; of poverty, revolution, and hope. Hence, I was able to read the book by heart and embraced one of the powerful classics ever made. Despite this, I didn't have the opportunity to see the first film adaptation and the musicals. I guess I was in the cave of my own thoughts and other world in books that I did not took the journey of exploring Victor Hugo's masterpiece even more. Therefore, I also had no idea what the songs were, etc. Learning that there was another film adaptation and in a musical form, oh I did not pass up the chance and watched the film with my siblings and my uncle. Goodness! It was such a magnificent and extraordinary film. As a first-timer, it definitely did not disappoint. The movie navigated on the story like the book was being narrated for me. I was able to savor and appreciate its similarity to the book. I did cry bucket with the whole audience sobbing that it was possible to create an ocean of tears in the movie theater if God forbid that we did not control our cries. I felt every emotion the characters showed that I was able to relate to them. Oh they did not fail to deliver and absolutely touched the hearts of the audience. My siblings, my uncle and I feel like singing theatrically as well after watching the film. I think everyone did since the people who watched before us and those we watched with were singing their lungs out. What made the whole film heartfelt was that the actors sung the songs live. 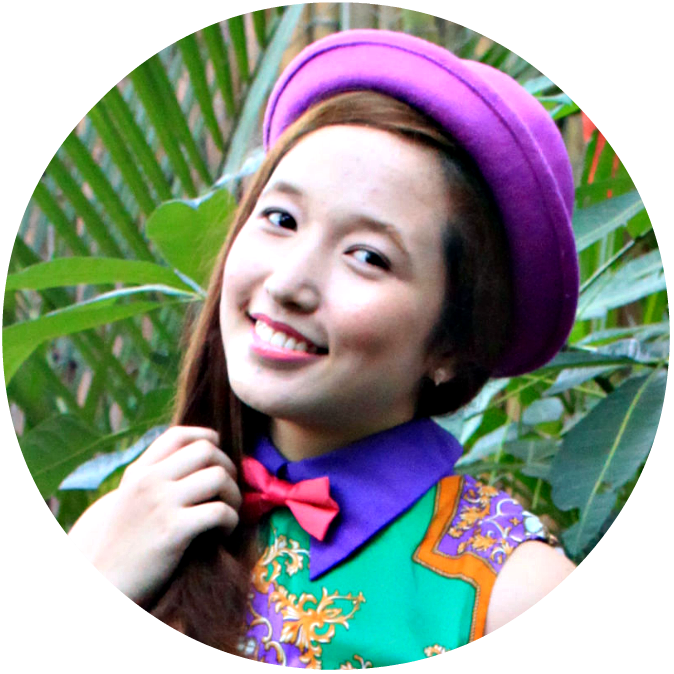 They made the right choice because through that, like I said, they were able to engage the emotions to the audience. Everything would've looked fake if they recorded and lip-sync each songs. Also the preparation of the actors for this film was truly remarkable. Everything looked more realistic and precise. Among the characters, my favorites were Fantine, Jean Valjean, and the Thenardiers. 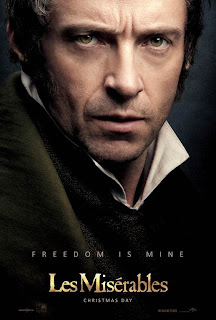 Starting with Hugh Jackman, he was so talented and truly amazing as he portrayed Jean Valjean. 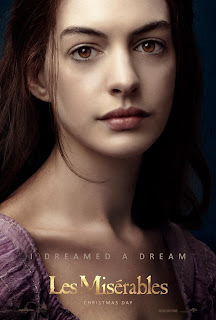 Likewise, Anne Hathaway as Fantine showed that she is really a versatile actress and very dedicated to her craft. Both of them acted as if it was there shoes and gave life to these literary characters that I have once met in my imagination. They did justice for both characters and for sure, no one will disagree if I say they deserve an Oscar award. 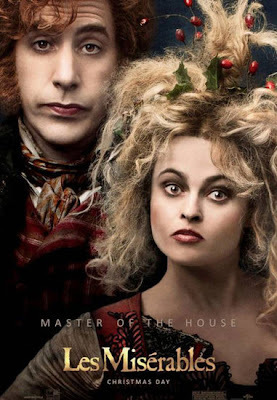 As with the Thenardiers, Helena Bonham Carter and Sasha Baron Cohen brought life and color to the story through humor and comedic acts. I literally laugh while crying and vice versa whenever they were in the scene. I love how they were able to insert light and fun scenes in the full heavy drama and action that is happening in the film. 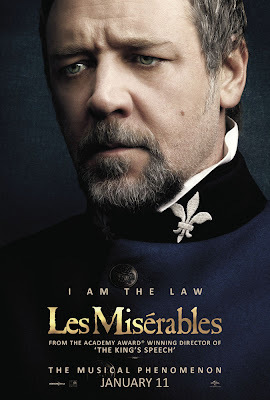 Despite the criticisms, Russell Crowe as Javert did well in the film. He was able to show the very strict and firm authoritarian that Javert is. Many were saying that he didn't sing his part well but I think it is unfair to compare him to his musical counterparts. Aside from them, all the actors were able to portray the characters well and I have to commend them for it. Also the directors and everyone behind the whole film. I will rate this 5 out of 5 stars. One of the best.